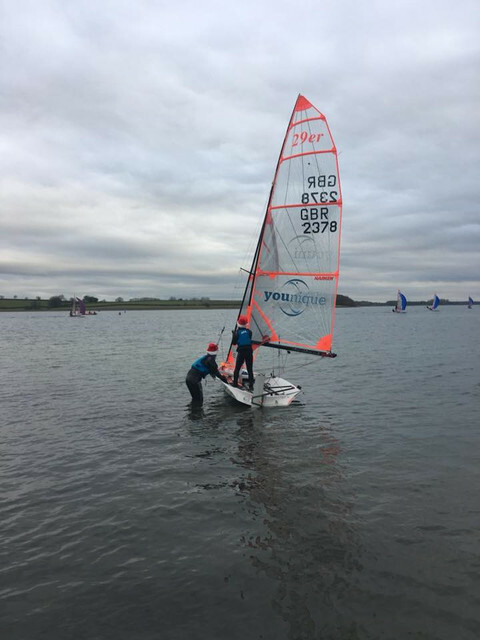 On 2nd and 3rd of December 45 boats travelled to Rutland Sailing Club braving the cold for the third Harken 29er GP of the season. 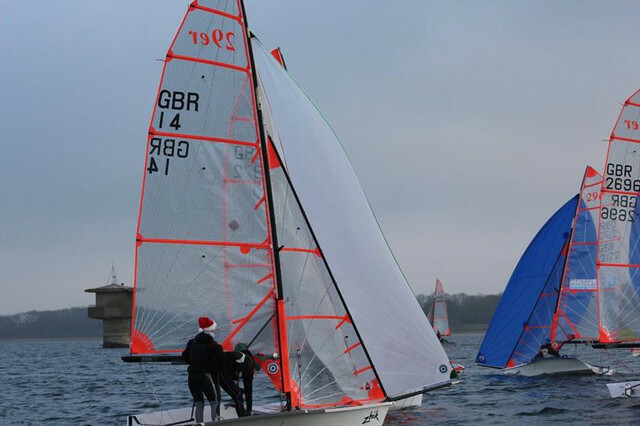 With Santa hats in place, the fleet launched in light and shifty conditions. The race officer did a great job in running 4 races. Juniors Hugo Burrows and Hakan Digby played the shifts to score the win of the first race. 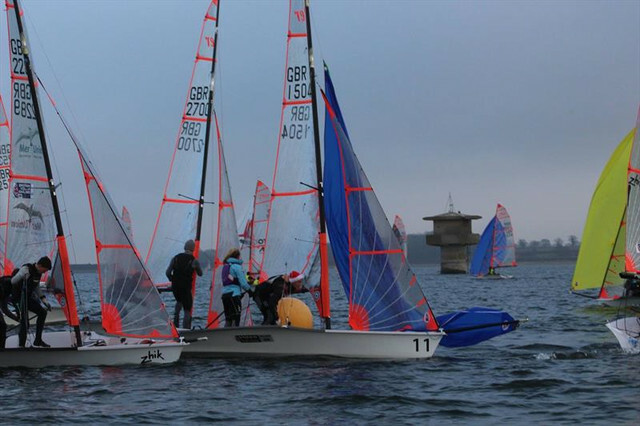 The shifty conditions left many boats with at least one high score. Consistency was key and Bobby Hewitt and Jake Hartman took the lead overnight with two thirds and a second. The fleet returned back to shore santa hats still in place for the Christmas Party whilst the sailing dads donned a variety of embarrassing Christmas jumpers. Rutland Sailing Club performed nothing short of a miracle feeding all 150 guests in record time. Congratulations to the catering crew. The next day dawned all too soon for some sailors leading to some big changes in the leader board. 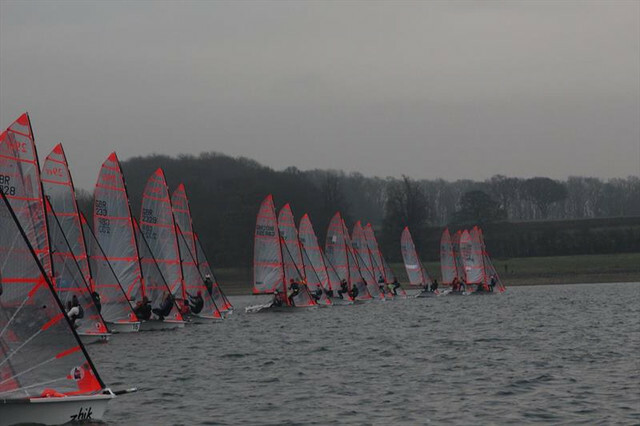 The light and shifty conditions were back again showing the importance of consistency and tactics. Juniors Ewan Wilson and Fin Armstrong took their second win of the Grand Prix series with Sam Kneale and Cian Ashby a close second. Freya Black and Millie Aldridge secured first girls coming third overall. First mixed were Iain Bird and Anna Rowe. Great event, great racing and a great Christmas party. Merry Christmas and a Happy New Year to everyone!